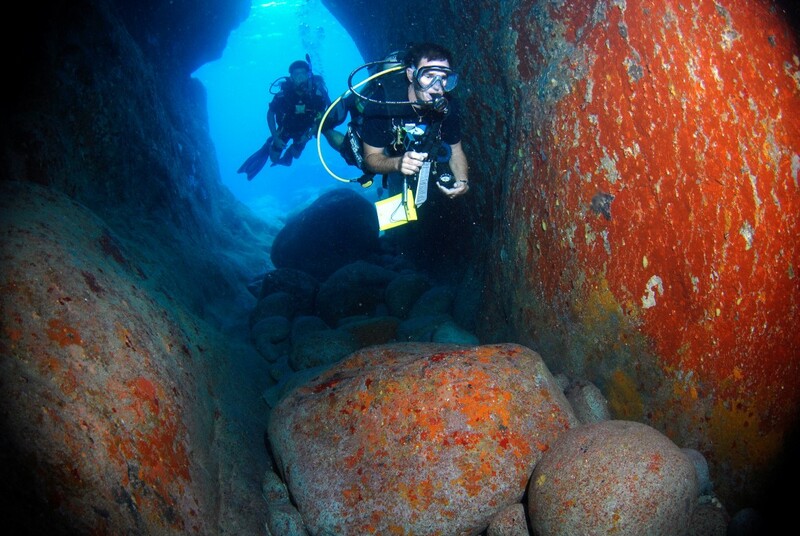 Located west of West Dog Island and south of Flintstones, Joe’s Cave is well known for its captivating underwater topography. Huge boulders, some up to 25 feet high, lay on the sandy bottom waiting to be explored and provide shelter to small invertebrates and fish. 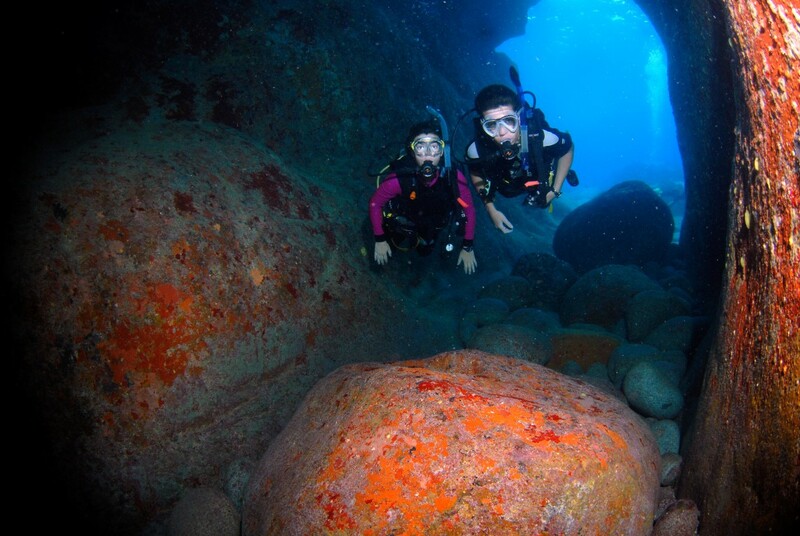 The main attraction of this diving site is a cave; narrow at the top where it’s open and the light penetrates the water, this cave has a very magical view. The base of the cave is wider and allows for better movement. Colorful corals and sponges cover the walls of the cave and the rocky formations lying on the sandy bottom. Giant groupers, lobsters and eagle rays are some of the few species you will encounter here; while you approach the end of the cave you will be surrounded by a swarm of glassy sweepers. 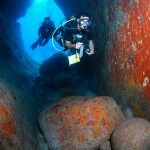 Joe’s Cave is the go to site for divers who want to explore captivating topography in less crowded spots. When the sun’s rays penetrate these blue waters, the coral and sponges look like they’re brought to life.